The first wave of fall breeze blew in, bringing the harvest season along. As a company tradition, our team at Blast It Clean challenged their perseverance and physiques with the Rugged Maniac 5K Obstacle Race. The administrative, project management and field crew members all participated. “I’m gonna do it!” Jessica King, our Human Resource & Office Manager, said with full confidence. This was the first year our ladies also participated in the race. They trained diligently for an entire year to prepare themselves for the ultimate challenge: 5K of hill trails, mud, traps, and obstacles. Our team member is building up his energy before the run. At 1:30 pm, the members were ready to go, proudly showing off the #teamsolution script on their running shirts. Our team members knew at heart that this was more than winning or losing because, at Blast It Clean, we believe more in helping each other and building healthy relationships, and we celebrate everyone's achievement as our own. The first one who completed the track was Vince, Jessica’s younger brother and also a proud field operator of Blast It Clean. His record was 37 minutes, which also made him the winner of the 1:30 wave. Vince Walrath showing his medal with pride. Naturally, some obstacles were more difficult for certain members to accomplish. Our team members varied in size and height, as well as the amount of routine training each had received. Nonetheless, every team member was able to receive the Completion medal because every member helped each other, may it be verbal support or physical assistance. At the end of the day, what really mattered was the fact that each one of us challenged ourselves and made progress. “Shane saved me on the ladder!”. Jessica happily accredited her team member for pulling her through the obstacles. The Blast It Clean team also displayed wonderful cooperation and showed abundant support for each other. Jessica and Shane in the mud, enjoying themselves. Carisa Moeller, our Accountant & Payroll Administrator had never participated in an obstacle run before and had been both nervous and excited for the Rugged Maniac challenge. No matter how long it took her to finish, she was happy that she did not give up. At the final part of her run, team members who had already finished returned to the track, running by her side and cheered for her. It was a heartwarming moment seeing her husband, Brad, held her hand and helped her climb out of the final mud pool. Carisa showing her finisher’s medal with a big proud smile. Some members signed up for next year’s Rugged Maniac right away, while others were dedicated to training even harder before officially registering for the 2019 Rugged Maniac Challenge Muddy, sweaty and exhausted, every member smiled with pride and accomplishment as they headed home.  Blast It Clean is the premier provider of industrial, commercial and residential cleaning & painting services. We have been serving the Midwest area for 17 years since 2001. For inquiries, call (877) 379-4233.